And when I say they run hot, believe me when I tell you that a surface temp of 300ºC per tube is … ahh … room filling. Lovely sound coming out of the big Classic Audio loudspeakers, to be sure, but you’re going to want to be very careful when choosing which room gets these bad boys. Stahl-Tek was showing off a pair of digital widgets at the show, too. 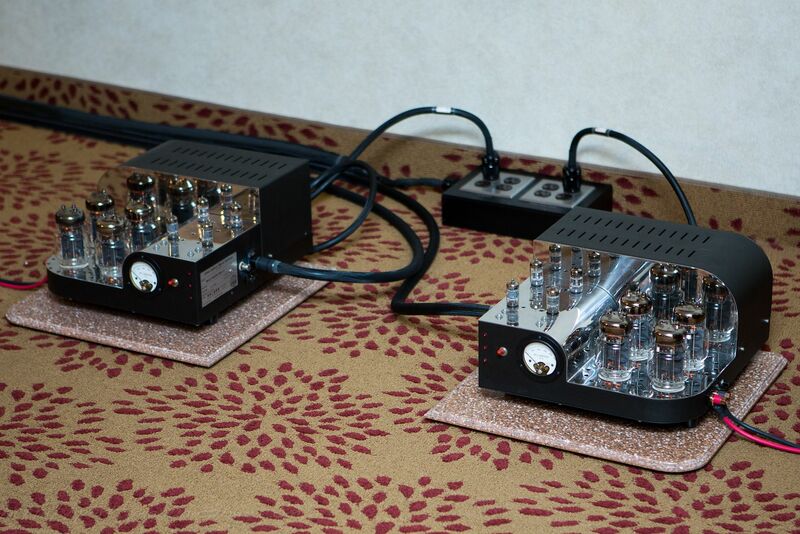 The Ariaa DAC ($12,900) and the new “ABC” USB to S/PDIF converter ($TBD, ~$3,200).